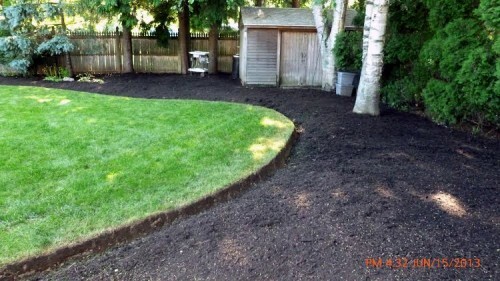 Edging and mulching will help give your garden and yard a more finished and refined look! Edging is a process we use to help eliminate weeds from your mulch beds. Edging will help form a barrier that will help contain the spread of perennials, as well as keeping lawn grass out of your mulch beds. 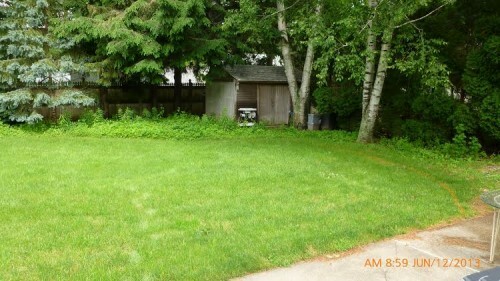 It also created a defined line the neatly separates the lawn from your planter beds. Weeds can and will destroy both the health and look of your garden. It is important to remove weeds from your mulch beds immediately, as they attract insects and harmful diseases that will harm your plantings. We have the tools and methods to kill and remove weeds from your garden. Our professionals can help prevent weeds from growing in your mulch beds in the future. After the Edging and Weeding have taken place we then put down a 2-3 inch layer of mulch to help prevent weed infestation. It is important to keep up with the weeding and edging of the beds after the job is performed to maintain the jobs original beauty. We also offer a mulch bed maintenance service to help you out with this. 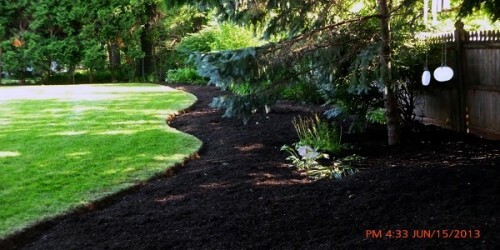 For more information about our mulching, weeding and edging services, please give Lola’s Landscape a call at 774-248-4584. "Lola’s did a fabulous job transforming my backyard from weed filled and overgrown, to gorgeous with flowers, mulch, and arborvitaes! Adam and his guys are friendly, professional, and fantastic to work with. Highly recommend them!"